Style Furniture - Futons, Platform Beds, Beanbags, Füf Chairs and more! Along with national brands like Adonis, Largo, and Otis, we also carry our own high-quality, value-priced line of futon frames and mattresses, and a large selection of covers, including leather, suede, prints, and embroidered covers - our selection's too large to show! We carry a complete line of stylish, durable, and affordable Futon Frames, many grown from sustainably harvested Plantation wood! All frames are availabe in a wide variety of gorgeous finishes. We can Custom order frames for you, too! 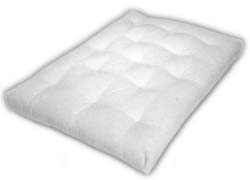 Futon Mattresses - We carry durable, comfortable mattresses by national manufacturers, as well as our own line of value-priced mattresses and frames. We carry too many styles to display! Come in to see our complete collection, or let us custom order the perfect Futon for you! We're located at 3500 South College Avenue off of East Horsetooth and South College Avenue, behind Chili's in the Square Shopping Center, next to the Sleep Store. You can call us at (970) 223-4567. We look forward to serving you!